Bardoligam, Chikhligam, Gandevigam and Adulgam are four villages situated on the fringe of the Golden Corridor between Mumbai and Ahmedabad, one of India’s most industrially developed zone. Yet, it is here that majority of poor, especially the most vulnerable sections among them, fail to get the social benefits they are entitled to, says senior Amsterdam-based scholar Jan Breman. 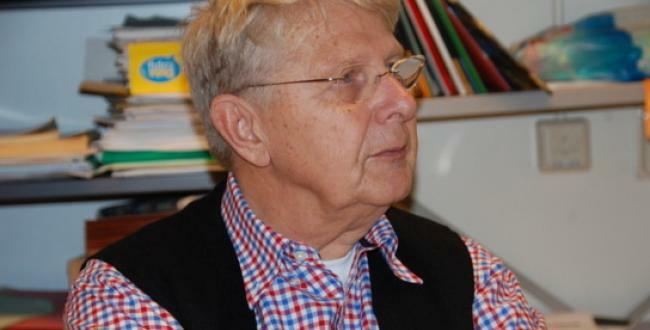 In his recent study, “The Practice of Poor Relief in Rural South Gujarat”, Breman, emeritus professor of sociology, Amsterdam Institute for Science Research (AISSR), University of Amsterdam, has suggested that, following Gharib Kalyan melas in the recent past, there has been a big talk about “a slow but steady decrease in poverty due to an accelerated pace of overall economic growth, is said to have marginally or even significantly reduced the vulnerability of people who have no other means of livelihood than their labour power.” However, the senior scholar, basing his study on four South Gujarat villages, has stated their destitution has remained “understated in literature”, and though the state had initiated attempts to redress the vulnerability of these, this has actually not happened. The study is based on fieldwork by collecting data on poverty-ridden households which wholly or partially lack the labour power required to make a living — the old aged, single women and the physically or mentally handicapped of all ages, is based. The villages studied are Bardoligam in the Surat district, Chikhligam in Navsari district, Gandevigam in the Navsari district and Atulgam in the Valsad district. Situated on the fringe of what is known as the golden corridor, which is the hub of industrial-urban zone between Mumbai and Ahmedabad, the study has found that out of the 101 households surveyed, as many as 152 individuals “should have been recipients of social benefits because of old age, widowhood or physical /mental disability”. The poor also have to face other types of hurdle – for instance, time and again they are made to make costly trips to the sub-district or district headquarters with sets of papers painstakingly brought together. These have to be “submitted but to no avail. Sometimes hurdles are also found too difficult to cross. For instance, how can a widow show proof that her annual earnings are less than Rs. 2,400 or below Rs 4,500 for the whole household of which she happens to be part and parcel? Her saying so will have to be put in writing in an affidavit signed by her and accepted by an official willing to be persuaded that her statement is correct. But this leniency has to be bought for a couple hundred rupees, a lot of money as well as an investment with a high risk of non-delivery”. Breman believes that in view of the arbitrary and biased way in which the below poverty line (BPL) survey was carried out, and subsequently adjusted downwards for political reason, “it should come as no surprise that there are many cases of vulnerability which escape formal registration. Having failed to become classified as poor such people are incorrectly exempted from state provided social benefits.” The result is that “of the 152 potential beneficiaries only 29 had been granted the allowance to which they are entitled.” A random sample survey of BPL households in the four villages of under survey suggested the predicament of the non-working poor and how they suffer. In his concluding remarks, Breman says, “Self-reliance cannot be the organizing principle for providing social security and protection at the bottom of the rural economy when the working poor barely succeed to take care of their own basic needs let alone that they can be held accountable for looking after the non-working segment of the old aged, single females and handicapped in their midst. To at least alleviate the misery in which both the non-working and working poor are entrapped in South Gujarat, the state has to be more forthcoming and forceful in extending social benefits as well in the generation of public employment than it has been so far.